“Never pet a burning dog,” – movie quote from, A Good Year. 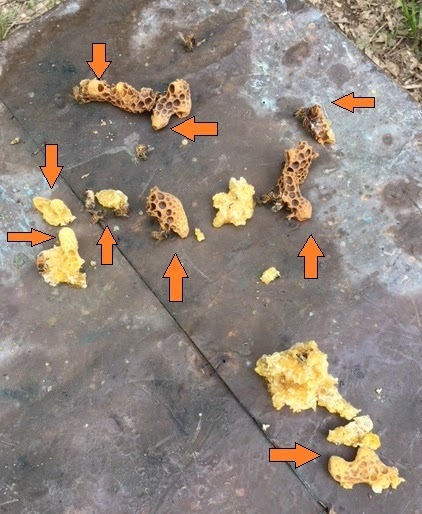 I do my best to keep this blog purely focused on my beekeeping but something strange happened last week that I don’t want to forget – so indulge me and then I’ll tell about my extraordinary beekeeping year thus far. Or just skip down past the italic part. On Wednesday, 4/18/18 I woke up singing the 90’s song “If I had a Million Dollars” by the Bare Naked Ladies. I like the group so that’s not really odd. However, the first thing I heard when I got to work was a conversation that had this line in it, “You got me F***ed up talking about what I would do with a million dollars.” Not an unusual conversation given I work in a casino. Then I went to Walmart after work and the overhead speakers were playing… “If I had a Million Dollars” by the Bare Naked Ladies! So I drove to Arkansas and bought a lottery ticket – and, of course, I didn’t win. The time between when I bought the ticket and when the numbers were drawn were filled with pure childlike daydreams. I imagined all the things I would buy, the way I would invest, the people I would help, and those I would shun. I also thought how empty all of my future achievements would be and how lonely my wife and I might end up. In the end, I wasn’t even disappointed not to have won the lottery. 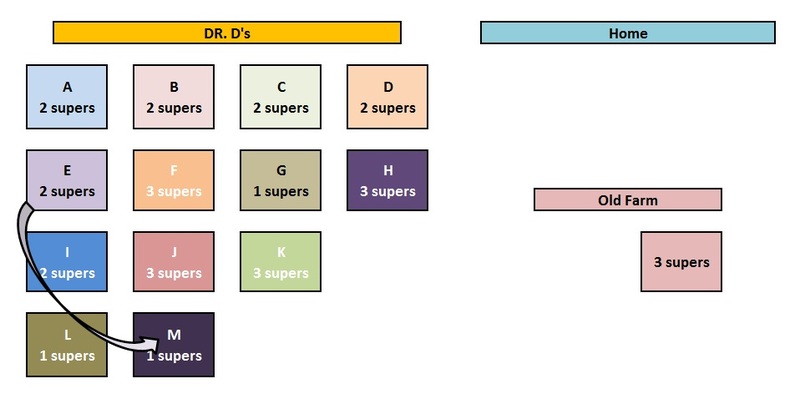 It has been three weeks since I made my splits and they are all doing well… no, they are all doing awesome! I didn’t realize it had been three weeks until just now. I don’t have a great excuse, other than the weather has been fairly cold and rainy. Not to mention that last week, Dr. D’s father died – I keep my bees at his family’s country homestead. However, that is all spilled milk. Saturday, I went to Dr. D’s and my bees were busting at the seams and about to swarm. 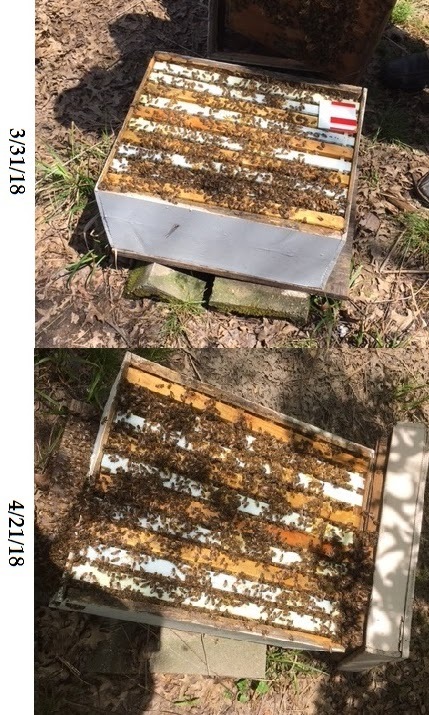 I moved 5 frames of queen cells to a new hives with nurse bees (Hive number 14). I would have split 10 of my hives but I didn’t have enough lids and bottoms to do it. In the other hives, I did my best to cut the queen cells out. This is always risky, as you might miss one. I then went home and got more boxes and frames and added a box to the 10 overly full hives. The other two hives were doing well but still had two empty frames each – so I left them single stacked for now. If all goes well, then Wednesday I will make lids and bottoms and Saturday, I will make 10 more splits. BTW: I had a heart scare two months ago and so I have been meditating in the mornings before work to lower my blood pressure. 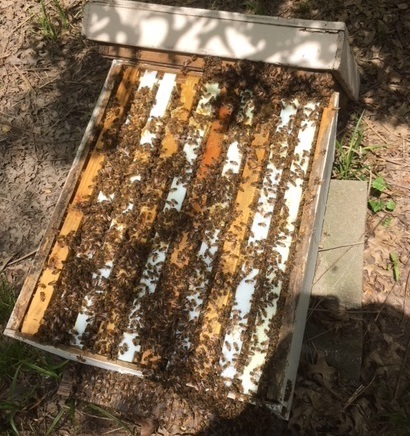 Well, the bees were fairly cantankerous at first on Saturday but then I took a minute to control my breathing and meditate, the bees calmed right down. I suspect my agitation was putting off pheromones and once I relaxed so did the bees. Previous Post Queen Cells: If at first you don’t succeed.